For its warm atmosphere, easy access facilities, access to the unique river, its dedicated team, qualified massage therapists, friendly bistro, unlimited green tea, fresh fruit, saunas directly on the river , the salt water pools, the great spa with its fall offering an exceptional massage, its economic member rates for unlimited relaxation, yoga events, parent-child events and of course for the benefits thermotherapy, releasing your toxins and bringing you the well-being you deserve. 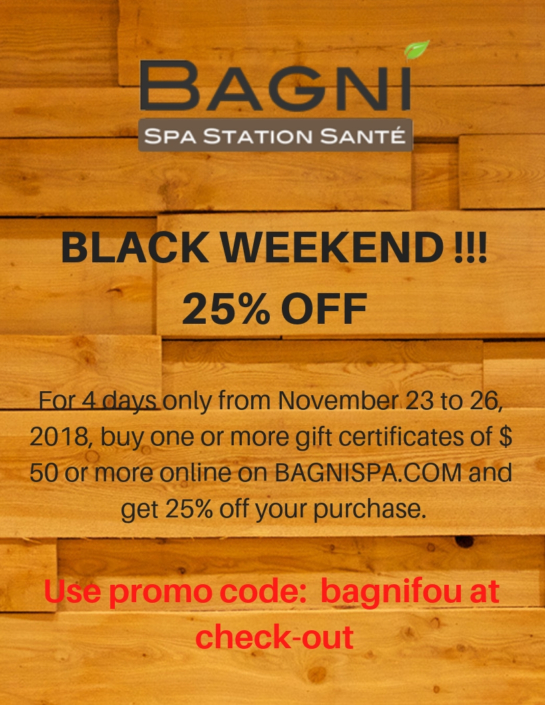 The Bagni Spa was founded in 2000 by Giovani Ramacieri and taken over by Amélie St-Hilaire in 2012. 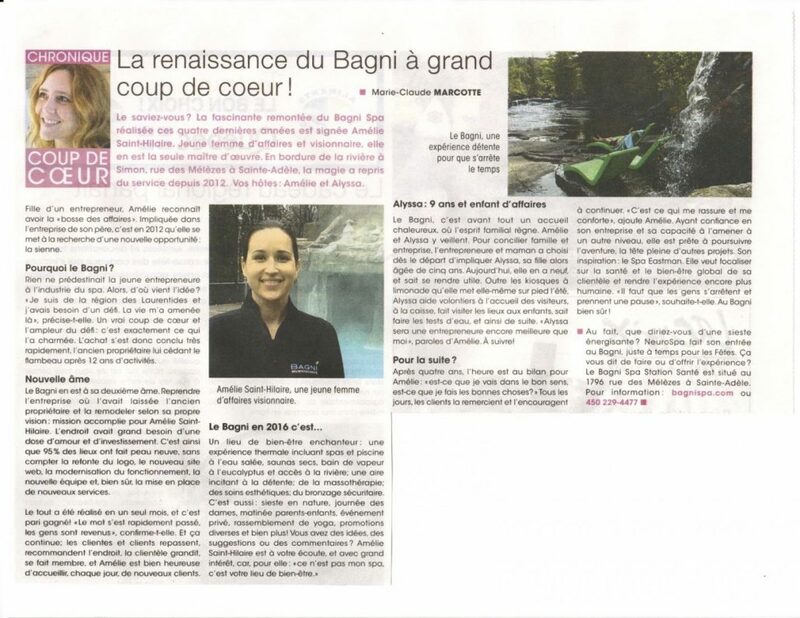 A Passionate young woman, Amélie was able to give a new lease on life to the Bagni with a new dynamic and well-intentioned team, constant improvements to the facilities and services offered. 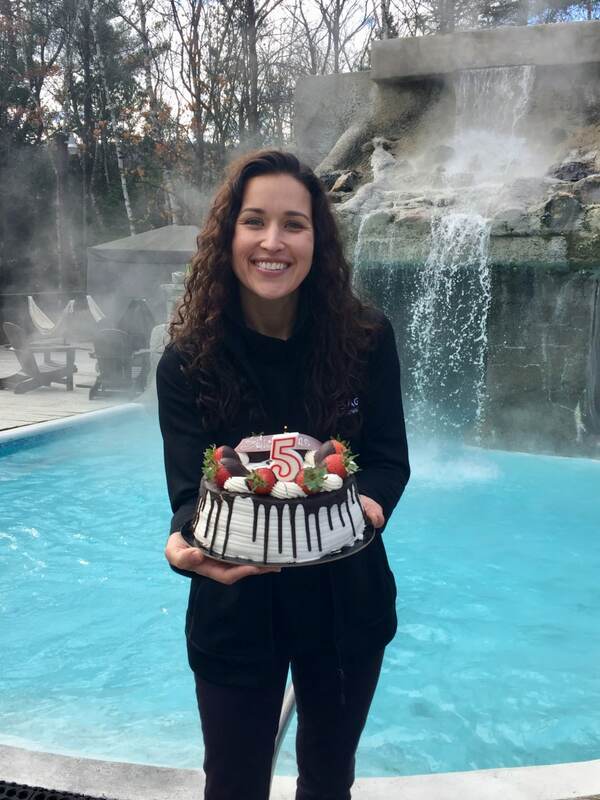 Always listening to our customers, our mission is to offer a memorable experience by prioritizing well-being, cleanliness, a serious and rigorous water quality and a warm atmosphere where we stop the time for you ..
Thermotherapy is an ancestral practice widely recognized for its energizing and relaxing effect. 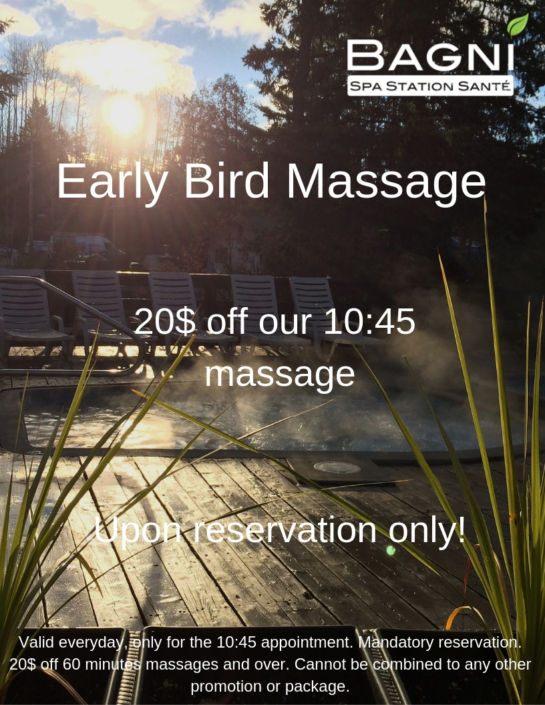 To relax, eliminate fatigue, stimulate your blood circulation, strengthen your immune system, clear your airways, improve the elasticity of your skin, relax your muscles and eliminate your muscle tension. 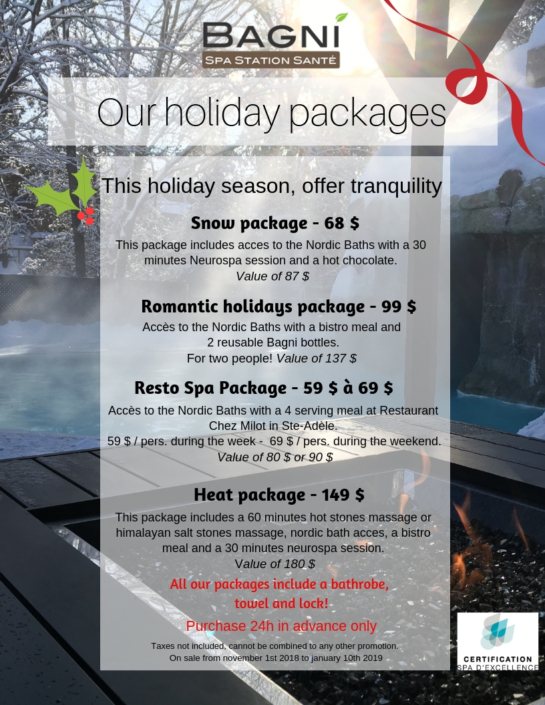 All these benefits combined with nature, calm, the sounds of a natural river and our team ensuring your well-being.